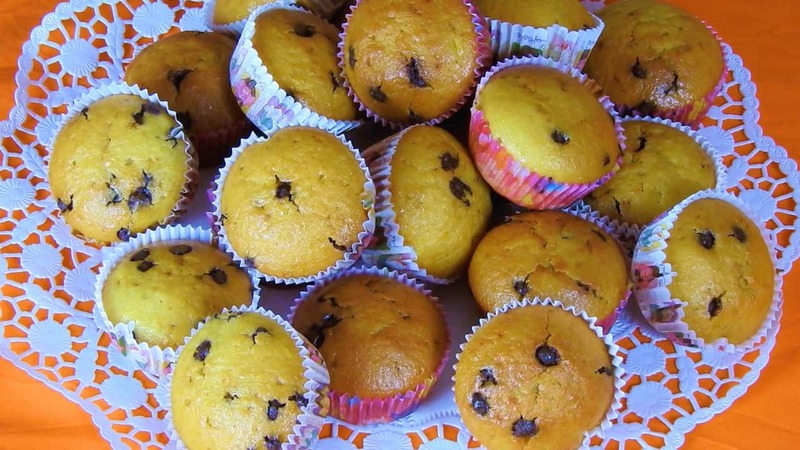 These fluffy muffins are an orange feast! They can be ready in 60min and are so yummy! Put the peeled orange, the eggs, the olive oil, the vanilla extract & the orange juice into a food processor or a blender. Blend for 20 seconds. Add the orange zest and blend for another 10 sec. Sift flour, baking powder, baking soda and salt into a large mixing bowl. Add the sugar and whisk. Mix the liquid with the flour mixture. Stir until well combined. Using a spatula fold the chocolate chips into the mixture. Fill 24 to 26 muffin cups. Bake in a preheated oven, at 180°C / 350° F, for 25 to 30 min until a skewer comes out clean.